*Note the line closest to the street is where you’ll need to wait if you want to sit down, either inside or on the massive terrasse outdoors. The line closest to the back, next to the plants lining the wall, is the spot to hit if you want takeout. The line moves quickly relative to the sit-down line – we waited around 15 minutes to get to the front. 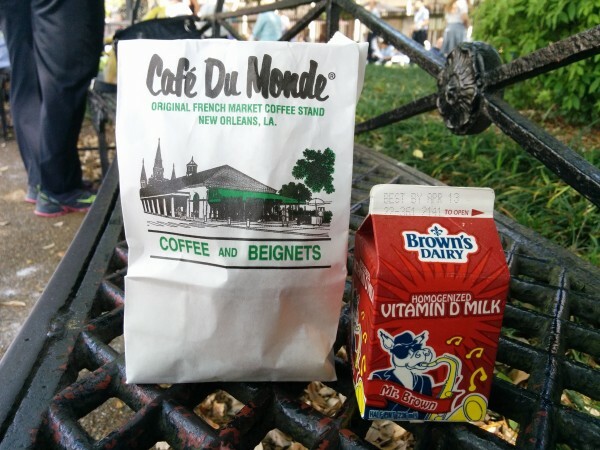 We got milk and coffee, and a set of 3 beignets each. Paper bag and supplies in hand, we headed to the Jackson Square park to enjoy our haul. Seating ourselves on a bench in the shade, we watched school kids play and run around in the grass to the music of a big band playing in the background. We gingerly reached into our paper bags and pulled out our first beignets. They were hot, impossibly pillowy and covered in a thick blanket of powdered sugar. Heavenly. Three beignets and a carton of 2% milk later, our bottom halves were covered in white dust – a clear ring of white in the space around our feet was completely visible. All good signs. 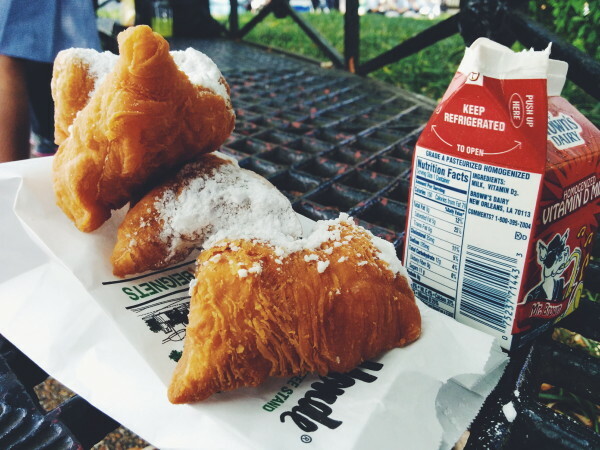 Check it out for the most famous beignets in the city, worth the hype. 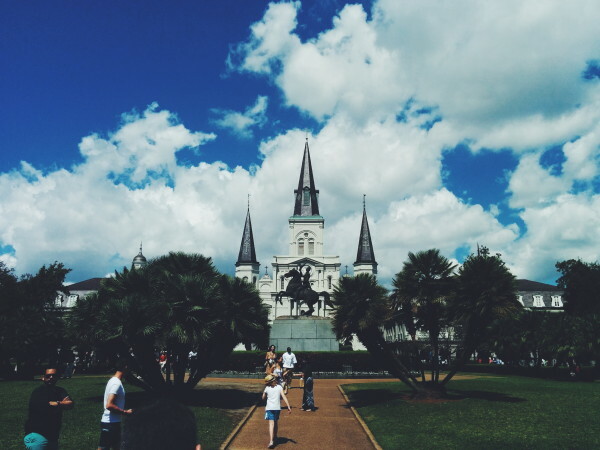 Tags: Beignets, Cafe du Monde, Jackson Square, Louisiana, New Orleans.